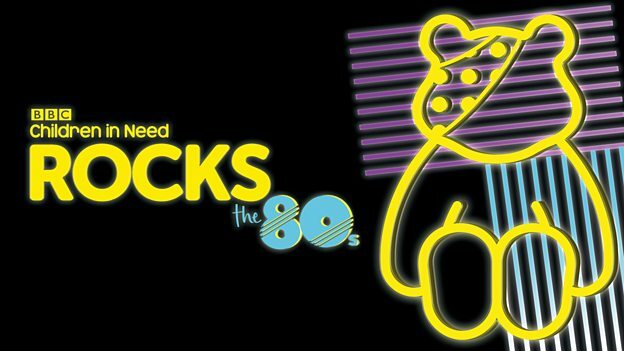 The BBC will stage BBC Children In Need Rocks The 80s, a very special fundraising concert celebrating the decade in which BBC Children in Need’s first major appeal took place. Fearne Cotton and Sara Cox will host the concert which takes place on Thursday 19th October 2017 at The SSE Arena, Wembley. Artists confirmed to perform include Bananarama, Boy George, Erasure, Europe, Imagination, Jason Donovan, Katrina from Katrina & The Waves, Louisa Johnson, Nick Heyward, OMD and UB40 Featuring Ali, Astro and Mickey. Roman Kemp will be capturing all the excitement backstage and interviewing many of the night’s performers. “As a child of the 80s, I am especially thrilled to be presenting this year’s BBC Children In Need Rocks!” said Fearne Cotton. Since its first major appeal in 1980, BBC Children in Need has raised over £909 million for disadvantaged children and young people across the UK. A number of films sharing the stories of children and young people supported through the charity’s grants will feature in the broadcast and viewers and listeners to the show will be invited to donate to raise even more money for those in need. All profits from the concert will go to BBC Children in Need. Sara Cox added: “I am so excited to be hosting BBC Children In Need Rocks The 80s! Tickets are on sale now at www.bbc.co.uk/pudsey and are priced from £25 each. The concert will be broadcast on BBC One in the run up to the annual BBC Children in Need Appeal (date and time yet to be announced).